Get ready for Reno. Coming soon, Reno is set to elevate creative minds like never seen before in a smartphone. 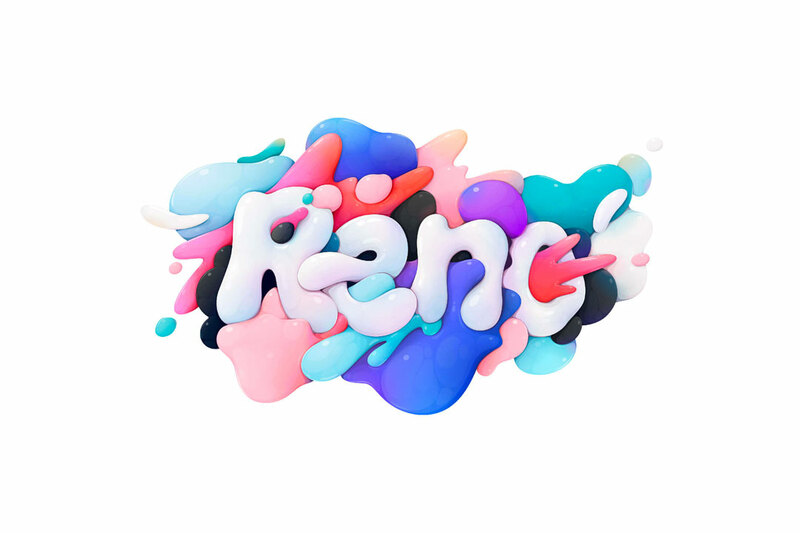 Reno is engineered to encourage today’s youth to get creative, so we’ve gone one step further by collaborating with some world-leading illustrators to explore the subject further. 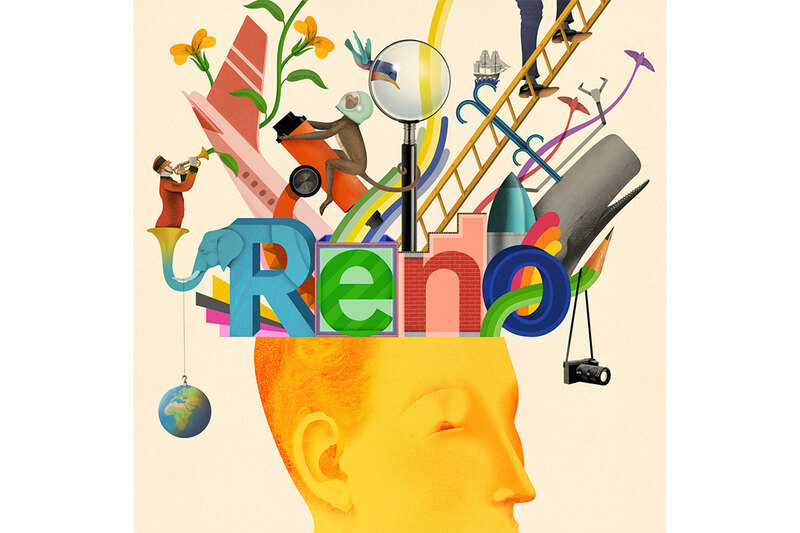 Our selected illustrators encapsulate the spirit of Reno into each one of their projects. They take inspiration by taking a closer look at the world around them, and experimenting with digital mediums to make something beautiful and inspiring, while truly expressing their feelings. We asked two of our featured illustrators, Brett Ryder and George Wylesol a few questions on their thoughts behind the creative process and where they draw inspiration from. From Norfolk, UK Brett’s work uses a multiple of different techniques. Fusing drawn elements, photography and digitally manipulating them further produces unique digital art, with an organic feel. Brett has previously collaborated with global brands such as Coca-Cola, Penguin Books, and additionally worked on experiences and interior concepts for events such as UK’s Glastonbury Festival. 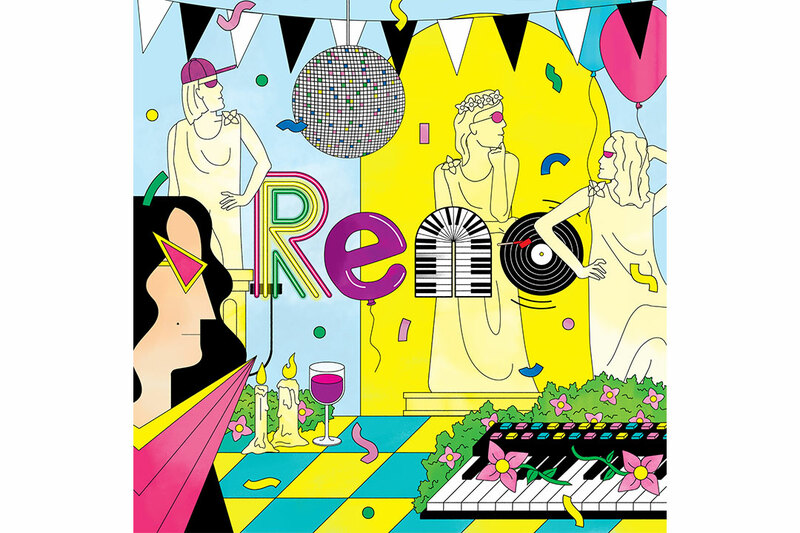 What were your thoughts and feelings when making the Reno artwork? It was such a creative open brief, I was very excited about coming up with ideas and so much scope for imagery. You are always a little nervous when starting a project with a new client, but the whole process was a real pleasure from start to finish. Our aim with Reno is to use technology help elevate people’s creativity. Your work blends drawn and digital elements - would you like to explain more how you use technology in the design and illustration process? I use my computer to scan imagery and manipulate the images in Photoshop with drawn elements, found imagery and textures, building the image in layers, I will also print out parts of the created images and draw into them by hand ,and then re-scan them. Where do you get inspiration from in general, or what gets you in the right frame of mind to be creative at work? I get inspiration from the subjects I'm illustrating and generally from things around me. but to get me in the creative mood, I’ll usually listen to a bit of music, but once i start working I put the radio onto Radio 4, which is more topical with dramas and news. Our core OPPO fan base are generally young creatives, looking to express themselves through photography and other digital art forms. What advice would you give to a young generation looking to pursue a career in a creative industry or just reach their own creative potential? My main piece of advice is to not be too influenced by other artists and designers , find your own style and your own personal way of thinking, you will have a longer career and have more satisfaction, and also don't give up easily. Where we can find more about your artwork, do you have any interesting projects coming up? I’ve been working with the London Philharmonic Orchestra over the last 6 months, working on brochures and posters for their Autumn season shows in London and the UK. George Wylesol is from Philadelphia, USA. Drawing influences from architecture and fine art, George’s style is colorful, bold and instantly recognizable. I was thinking about my concept - the high-end camera - and looking both at history and the future to come up with ideas for the artwork. I wanted to create a fun, kind of surreal environment that mixed a lot of different visual elements, but overall felt like a party. I use a lot of technology when doing illustration work. I work with Adobe Illustrator to do all my precise drawing and coloring, then add textures and tweak the colors in Photoshop. It’s really helpful, especially when working with tight deadlines. Pretty much everywhere. I like looking at work outside my discipline for inspiration, so I’m always looking at graphic design, photography, architecture, and fine art. I also like to look at the world around me and focus on little details. Do a lot of experimentation, especially when you’re young. Always be open to learning different media and techniques - you never know what might come out of it. Finally - always be making stuff! Keep busy with a big variety of projects. You can follow me on Instagram at @sassybluepanda, or check out my website at www.wylesol.com. I have some big professional projects in the works and my new graphic novel, ‘Internet Crusader’, will be released on September 5th! While collaborating with illustrators from around the globe, OPPO is also a place which encourages creativity from within. Our very own illustrator Carol Zhang’s Reno design concept envisaged Reno as a quiet island, where the lonely people of the night live. Can you guess what features each illustrator is hinting at? To view all illustrations and explore the creativity of Reno more visit our official Twitter account. Get Ready For Reno! We'll be releasing more details of Reno this month.